Low weight 786kg, low cd 0.235 hybrid concept does 134.5mpg and emits 49g/km CO2. Toyota’s new FT-Bh concept is a vehicle designed to take the efficiency of full hybrid vehicles to new heights. 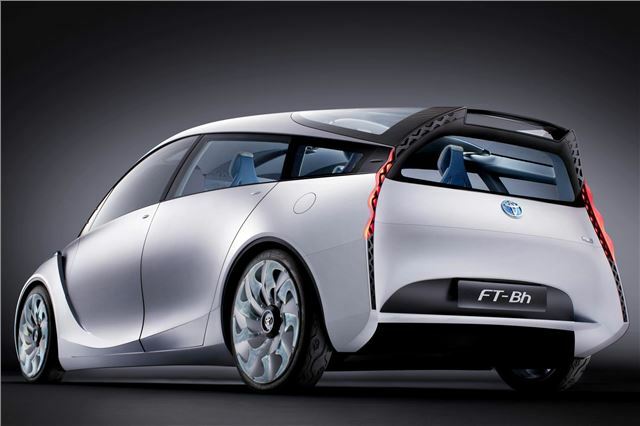 Making its debut at the Geneva motor show, it is an ultra-light concept, weighing less than 800kg, which demonstrates what can be achieved in terms of fuel consumption and CO2emissions in an affordable family supermini. Thanks to its low weight, exceptional aerodynamic quality, very low driving resistance and its highly efficient powertrain, FT-Bh can achieve an average 134.5mpg fuel consumption and 49g/km CO2. Those figures are from a vehicle that is close in size to today’s Yaris, at 3,985mm long, 1,695mm wide and 1,400mm tall, with a 2,570mm wheelbase. The emissions are about half the level of those produced by a 1.0-litre Yaris. The design team focused on five key areas: reducing weight; driving resistance (including aerodynamic and tyre performance); powertrain efficiency; thermal energy management; and electricity savings. 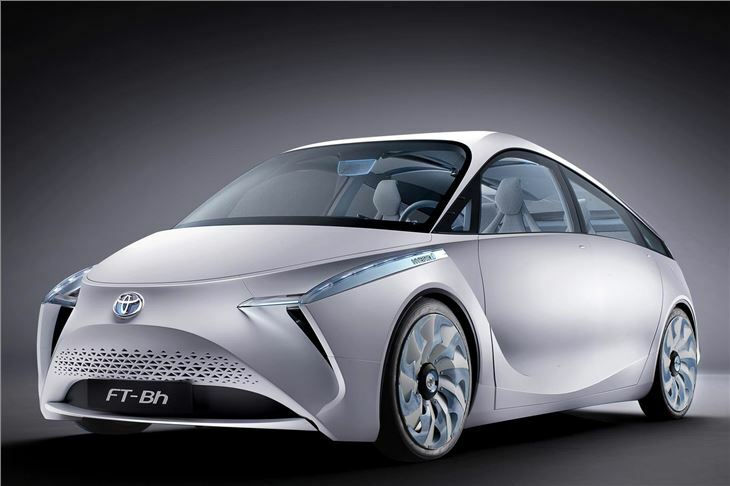 Toyota recognises that a real-world reduction of total global vehicleemissions can only be brought about if an affordable, ultra-low emissions vehicle can be manufactured and sold in sufficiently high volumes. That made it important that the concept did not require exotic, expensive materials or complex manufacturing procedures, but used instead only those that are already commonly available in the motor industry.